Developers, healthcare providers and entrepreneurs will be convening in Singapore this weekend (Feb. 10-12) for a hackathon event focused on social robotics for eldercare. The Massachusetts Institute of Technology (MIT) and Segway Robotics, in partnership with Singapore’s SGInnovate and Smart Nation, will co-host the MIT Hacking Medicine Robotics. More than 75 teams expected to compete in the hackathon will use the Segway Robot developer platform to “create robot assistants capable of understanding and engaging with elderly and patients with conditions such as Alzheimer's and others,” according to the event website. 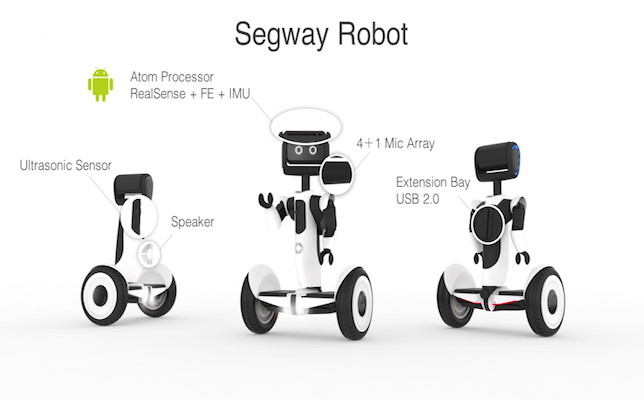 The overall objective of the hackathon is “to create and grow a community of innovators around personal robotics for healthcare, mental healthcare and eldercare applications.” Segway Robot will provide five alpha robots for the teams to use during the competition. Yale University hosted its own healthcare-focused hackathon last month (Jan. 20-22) that had more than 200 individuals in attendance, CIO reported. MIT participated, as well as Johns Hopkins University, Stanford University, Brown University, University of Connecticut, Rutgers University, University of British Columbia, McGill University, University of Massachusetts, Cooper Union, Pennsylvania State University, Quinnipiac University, Vassar College, Wesleyan College and many other higher ed institutions. Yale Center for Biomedical Innovation and Technology and the Yale School of Medicine Department of Radiology and Biomedical Imaging, the theme for the hackathon was “Re-engineering Patient Experience and Provider Engagement” –– with one track on the “Future of Mechanical Imaging” and another on “Process Design.” According to CIO, a total of 35 teams pitched their ideas. One team leveraged blockchain technology to empower patients with potable medical images. Another team designed a wearable device for children with respiratory issues. One project even used virtual reality and 3D imaging to remotely position intravascular catheters, which are used to measure blood pressure, pH and tension in the heart. Similarly, the MIT Hacking Medicine Robotics event aims to create impactful solutions for patients and the elderly population. Winning teams will be announced Feb. 13 at MIT Technology Review’s EmTech Asia conference, and they will share their ideas on stage.